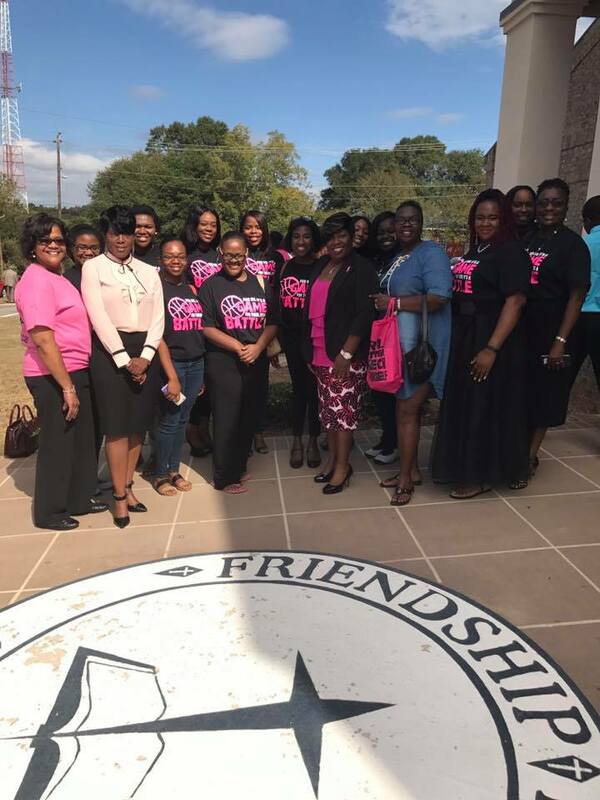 Zeta Phi Beta Sorority, Inc, Omicron Alpha Zeta Chapter had a magnificent time painting churches pink in Americus and Sumter County. We conducted three Paint Your Church Pink event. The churches that partnered with us were Bethesda Missionary Baptist Church, Friendship Missionary Baptist Church, and St. Mark AME Church. They welcomed us with open arms. We honored our Pink Warriors. Pink Warriors are women who knew that God wouldn’t put more on them than they can handle. They knew that if they put their trust in him, they would win the battle. They knew the journey would not be easy but they had to keep the faith. Giving up was not an option, because they had to win the race. 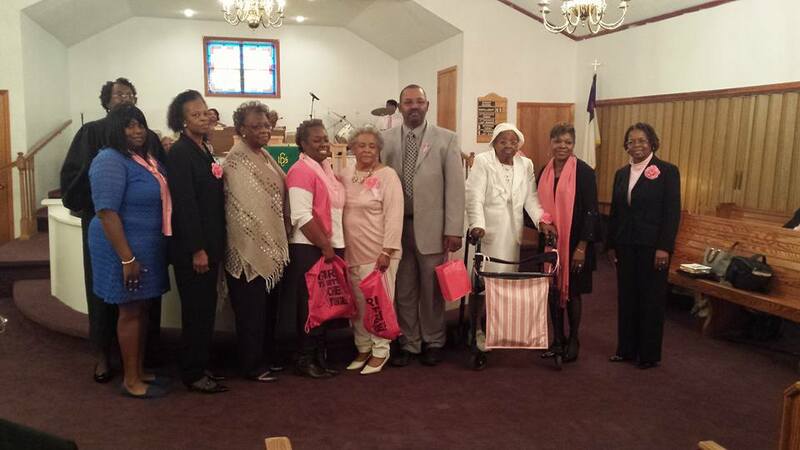 We honored breast cancer survivors that endured a lot of hardships, pain, and more. Now they are a living testimony how God delivered them and they continue to spread awareness in their community. 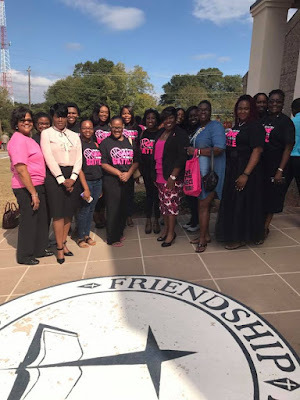 Speakers for each Paint Your Church Pink was Soror Kina Davis, Soror Alnita Dowdell, and Soror Ernestine Martin. Each survivor received a bag, cup, calendar, memo pad, and pencil. 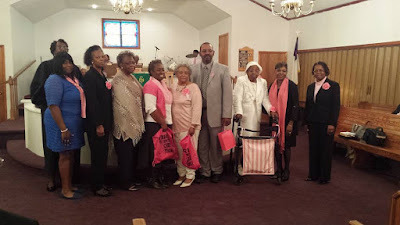 Members attending services received a pink ribbon, calendar, and bookmarks. Breast Cancer Awareness handouts were also provided. All 3 events were a success and we look forward to these events next year. Soror Cathy Dukes is a Breast Cancer Survivor. She is a charter member of the Mu Mu Chapter at Georgia Southwestern State University. She is the sister of Soror Terri Wakefield who is a member of Tau Omicron Zeta Chapter. 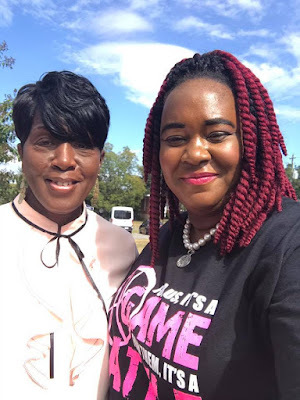 Soror Dukes is a member of the Friendship Missionary Baptist Church in Americus, GA. Soror Kina Davis had the honor to pin Soror Dukes with her Breast Cancer Awareness Pin during the ceremony. Soror Dukes is a very strong advocate when it comes spreading awareness about cancer.